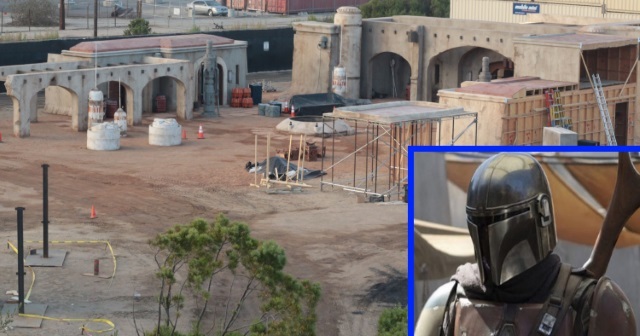 One of the world's great modern inventors visited the set of Lucasfilm's "The Mandalorian," and talked future tech with executive producer Jon Favreau. Favreau posted a picture to Instagram today showing visit to the set by Elon Musk - the co-founder of companies including PayPal, Tesla, and SpaceX. As you might expect. Musk has an interest in sci-fi, so Favreau gave him a tour of the set. According to the post, Musk wanted to talk about hyperspace travel, which is not surprising, given he is building the Hyperloop in Los Angeles and and is working on high-speed train projects elsewhere. "The Mandalorian" is the flagship production for the upcoming Disney+ video streaming service, the studio's answer to Netflix. Here's the Instagram post by Favreau. While "The Mandalorian" is currently in production, an exact premiere date is unknown. The Disney+ video streaming service is expected to begin sometime this fall.